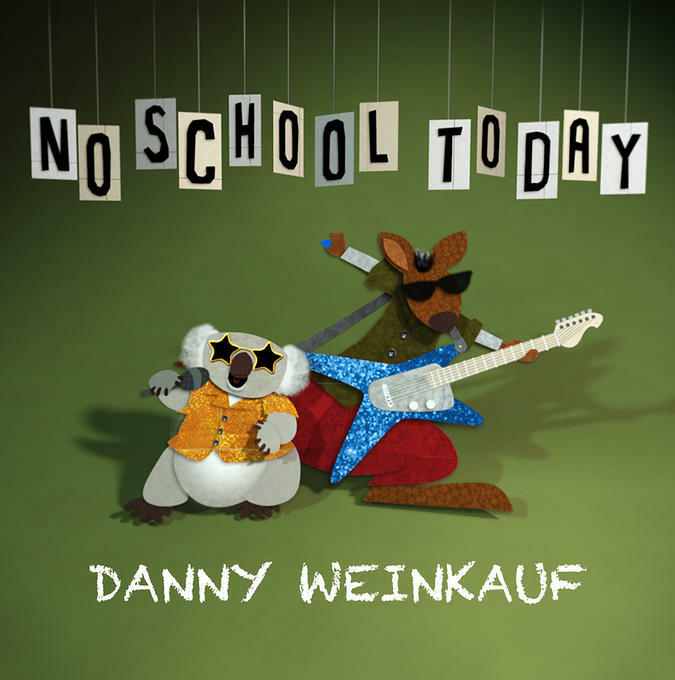 Danny Weinkauf will soon be unleashing his first solo children’s album. Who is Danny Weinkauf you ask? Excellent question! Weinkauf is the bassist for a swell little band by the name of They Might Be Giants (“TMBG”). He is also a Grammy winning songwriter and responsible for writing one of our favorite TMBG songs, “I Am A Paleontologist.” With the upcoming release of No School Today, Weinkauf will continue to entertain listeners with stellar songwriting that includes clever wordplay, interesting facts and a great sense of humor. The rockstar marsupials featured on the album cover up there should give you a good idea of what’s in store. No School Today will be released on April 29, 2014, so mark your calendars! The video for “No School Today,” directed by the very talented high school student and artist, Ryan Hanrahan, cleverly depicts the lengths young’uns will go through to get out of just one day of school (even if you are a sock puppet!). Parents of elementary school children: you will absolutely relate to the myriad of familiar excuses contained within this song and Danny wants to hear about it! Post your favorite/funniest “No School Today” excuses in the comments below to be shared with Mr. Weinkauf himself. Want to hear more? Check out Weinkauf’s music page to sample songs from the album and learn about the inspiration behind them.